Vote: What do you make of Amazon’s layoffs? Anything affecting the Seattle’s largest private-sector employer demands attention. Are Amazon layoffs a big deal, omen or business as usual? 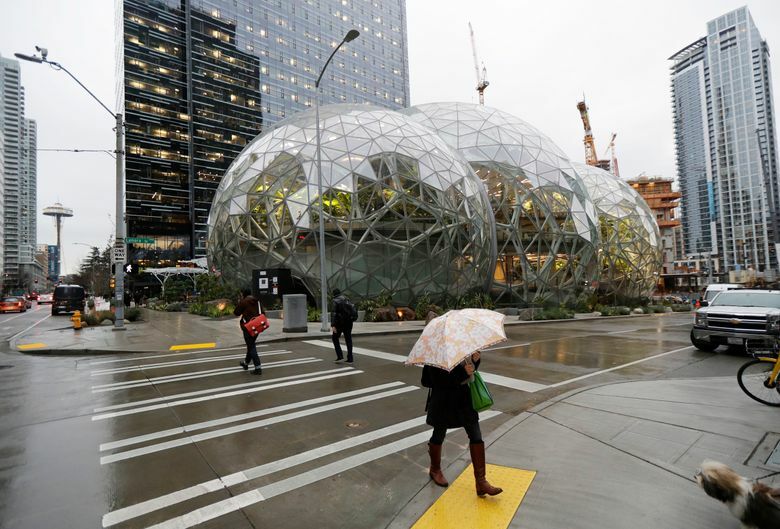 This week Amazon began hundreds of layoffs at its Seattle headquarters and elsewhere. As my colleague Matt Day reported, it’s highly unusual, yet it’s still a small slice of the company’s 40,000 employees here. It could well be needed consolidation after rapid growth, paring down some retail areas and/or Jeff Bezos offering Wall Street evidence of Amazon’s cost control at the human level (our onetime little online bookstore employs 566,000 worldwide — the second-largest U.S.-based corporate employer). Still, with the search for a “fully equal” second headquarters, do the cutbacks mean more? With Big Tech stocks arguably overvalued (AMZN just surpassed Microsoft in market value, if only briefly), is this blistering hot sector headed for a fall? Anything affecting the city’s largest private-sector employer demands attention.